11/26/02 – The capacity to mop up harmful oxygen free radicals seems to be reduced in people with periodontal disease, finds research in this month’s Molecular Pathology. 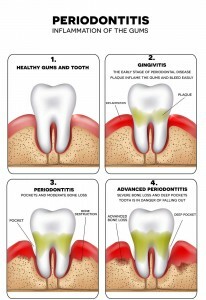 A leading cause of tooth loss, it develops as a result of bacterial infection from a build-up of the sticky, colorless bacterial plaque that continually forms on the surface of the teeth, especially in the crevices in between. The inflammation that results from such infection destroys the attachment fibers and supporting bone that hold the teeth in the mouth. The research team tested the content of plasma samples and gingival crevicular fluid, or GCF for short, in 10 middle aged men and women with advanced periodontal disease, and five people of the same age with healthy teeth and gums. GCF bathes the delicate and vulnerable tissues around the teeth. An unusual antioxidant response was found in the GCF, which was not seen in the plasma samples. 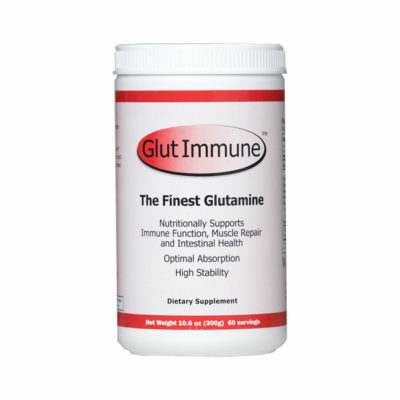 Exhaustive laboratory studies in which inflammatory cell activity was artificially stimulated and various biological peptides analyzed led to the discovery that the antioxidant was glutathione, and that GCF levels of glutathione were up to 400 times those found in plasma. The antioxidant capacity of both the systemic (plasma) and local (GCF) samples was significantly lower in people with periodontal disease than in those with healthy teeth and gums. Glutathione levels and evidence of the neutralization (scavenging) of free radicals were low in those with periodontal disease, but very high in those with healthy gums. 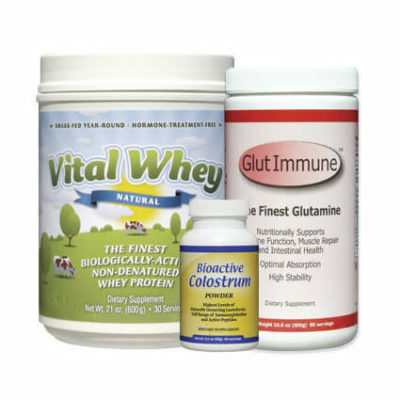 High glutathione levels are also found in healthy lung and cervical tissue, said the authors, and may be part of a defense strategy by delicate tissue lining (epithelial) cells against bacterial assault at exposed surfaces. 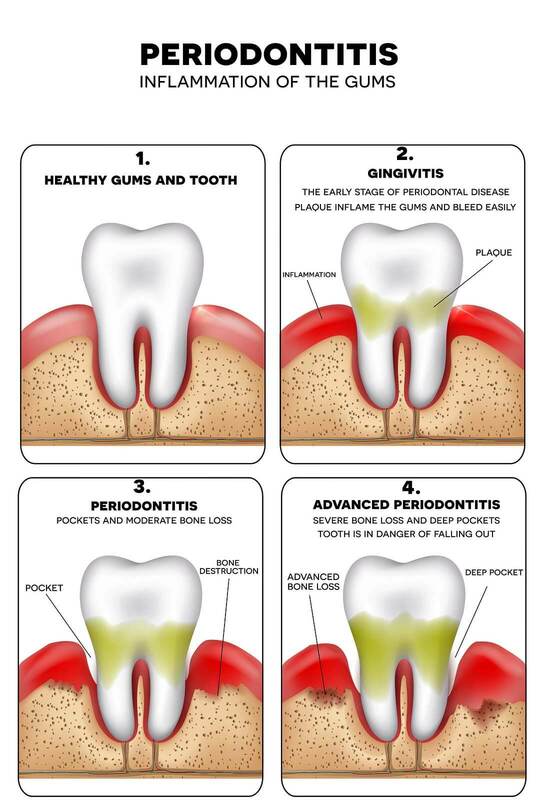 But they suggest that in severe periodontitis, the immune cell response appears to be imbalanced in that white cells become hyperactive, leading to increased inflammation and overproduction of oxygen free radicals while scavenger (glutathione) levels are too low to cope with this. 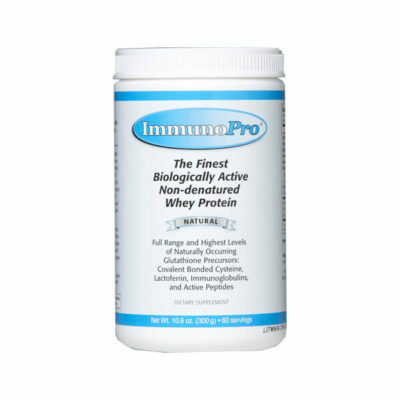 You might consider adding our excellent Vital Whey protein powder that provides high levels of Glutathione to help prevent or reverse periodontal disease.